The film team that put together the "What's on your mind?" clip, talked to a lot of people around the world. 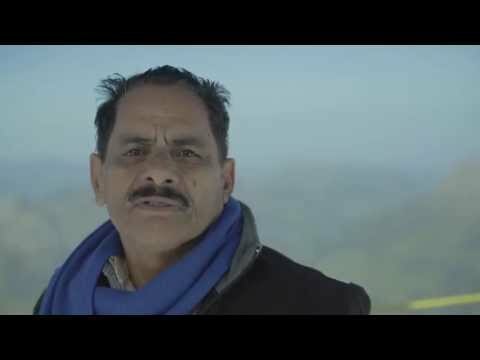 While on Mount Titlis in the Swiss Alps, talking to geologists and glacier experts, they also struck up a conversation with Joseph K., an Indian tourist. Find out what he had to say about who will take care of old people in the future. Matt Singleton - 18 Apr 2013, 8:16 a.m. These thoughts are on the mind of many in most countries - this is explained extremely eloquently here. Karthik Sampath - 20 Apr 2013, 11:33 a.m.
A very candid take on the realities facing tightly knit conservative societies like India. And this is where insurance has a huge role to play in the next few decades. Brian Ivanovic - 4 Jun 2013, 6:19 p.m. Being a physician myself I think about this a bit more literally. Stated another way, are we training the right kind of medical staff to care for a population where more and more people are older and are we training physicians whose business it is to keep us healthly as long as possible thru primary prevention of disease? It seems like the current answers to these questions are a bit troublesome. In a 2009 US Government Accountability Office report on trends in Graduate Medical Education found that medical students prefer surgical and procedural specialities and that physician subspecilization is increasing. In terms of the primary care work force another potentially troublesome trend is emerging in the US. ".... an emerging trend of physicians who provide general medical care only in hospitals, where they may often work in shifts instead of being "on call"...". The former trend speaks to having more physicians trained to deal with emerged disease than with keeping people healthy. The latter trend suggests that when a person is very sick and requires hospitalization the knowledge and experience gained by the physician caring for them over time in the community is one step further away. With escalating treatment costs and a growing number of elderly people with chronic disease a health care model that is based on "fixing things when they break at any cost" is not an economically sustainable one. We need a health care system that is desiged to maximize the time an individual remains healthly thru a robust primary care system and effecitve primary prevention. Given their financial support of health care delivery, training and research, governments such as the one in the US are in a position to help drive needed changes through directed funding. Nicola Oliver - 6 Jun 2013, 2:26 p.m.
Brian you make a number of excellent points. Given the discussion in R & D topics regarding the looming demographic crisis in the UK, it seems that this problem is wide-reaching. The House of Lords report I referred to identifies that one of the problems in the UK is a lack of cohesive working between health and social-care. Whilst I appreciate that the source of funding is fundamentally different between the UK and the US, I think that common ground is shared in the form of the need for a focus on public health and prevention; the instigation of which could not only be a shift in thinking and organization in the UK; but that the whole concept of 'social-care' as part of the holistic health-care package that people require from cradle to grave could also be a fundamental thread in medic training.As a nurse, this aspect of individual care was more predominant in my training; maybe the skills and knowledge that nurses acquire in training could be shared with medical schools? This aspect has the individual at the centre with the hierarchy of needs providing the big picture, not just a fixing a problem as it arises but pre-empting, preventing and focusing on a greater public health slant.